You are here: Home > How many babies have died at Lisa Barrett’s hands? How many babies have died at Lisa Barrett’s hands? How’s that’s “trust birth” thing working out for Lisa Barrett? Not too well, evidently, and even worse for babies, based on what I’ve heard. Since 2007 she’s presided over at least 2 preventable neonatal deaths and one severely injured newborn. I look up to the birthing woman, her ability, her energy and I trust birth. That’s how Barrett describes her philosophy of midwifery. It’s inane on its face. 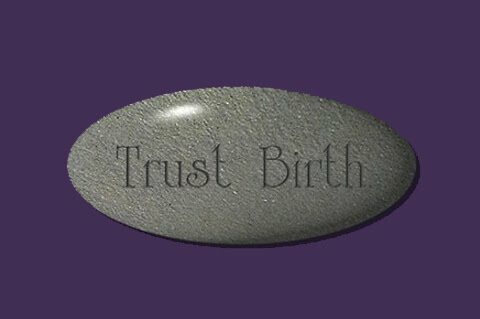 There is nothing trustworthy about birth. It is and has always been, in every time, place and culture, a leading cause of death of young women, and the day of birth is the most dangerous day in the entire 18 years of childhood. Trusting a bodily process to work perfecty in every woman, for every baby, every time, is nothing more than a recipe for disaster … as Barrett herself has demonstrated repeatedly. First, Barrett presided over the absolutely horrible and completely preventable death of Tate Spencer-Koch from shoulder dystocia. By Barrett’s admission, it took her an unbelievable 20 minutes to extricate Tate after the baby’s shoulders got stuck behind her mother’s pubic bone. During that time, Tate began to suffocate and she was delivered nearly dead and could not be resuscitated. Barrett, hoping to avoid an investigation into her conduct argued that she was so grossly incompetent that the baby was completely dead by the time she was born and therefore the coroner did not have jurisdiction to investigate the death. Barrett acknowledged that if she had merely rendered the baby profoundly brain damaged, an investigation would have been in order. But, hey, the baby died; let’s just step around the dead body and carry on; too bad, no investigation allowed. But the ambulance staff begged to differ. Although Tate had no heartbeat at the time they arrived, EMTs were able to detect electrical activity of her heart, known as PEA (pulseless electrical activity), the terminal event before actual death. Therefore, the coroner did have jurisdiction to investigate Tate’s death. Lisa Barrett fought the ruling all the way to the Australian Supreme Court. Barrett didn’t even bother with the pro forma declaration that of course she would welcome an investigation that she was sure would exonerate her. She did everything in her power to stop the investigation and made no bones about it. Incredibly, in the wake of Tate’s preventable death, Barrett portrayed HERSELF as the victim, arguing that she was merely standing up for legal precedent, that any effort to provide justice for Tate was just a witch hunt against midwives, and, for good measure, Barrett was martyring herself for women’s reproductive freedom. Barrett lost at the Australian Supreme Court. Now that the investigation has begun, we can see why she was desperate to stop it. First up, the story of ANOTHER homebirth death that Barrett presided over two years later. Barrett apparently learned nothing from Tate’s preventable death. This time she was “trusting” breech birth and once again a baby got stuck. Jahli Jean Hobb’s body emerged but her arms became wedged behind her head. This is known as nuchal arms and usually can be prevented by properly handling the breech, but that’s not what happened here. Barrett struggled mightily to pull down the baby’s arms, but without success. Incredibly, she asked a friend of the mother (who, coincidentally, was a student midwife in the earliest states of her training) to take over for her! The student, thought she very little experience, had read about managing breech birth and remembered what to do. She was able to extract the baby’s arm and the rest of the baby was delivered. Gemma Noone wanted to be part of one of her friend’s most exciting moments and witness the miracle of life. Her elation turned to despair, however, when Ms Noone – a student midwife – was forced to assist in the ill-fated homebirth of Tate Spencer-Koch. When private midwife Lisa Barrett got hand cramp she told Ms Noone to take over, leaving her to pry the baby’s shoulders free from its mother. Yesterday, she told the Coroner’s Court she had been traumatised by Tate’s tragic death and had been put off her studies as a result. Neither Tate’s mother, nor Jahli’s mother were appropriate candidates for homebirth. Both had had C-sections for their first births. Jahli’s mother, and probably Tate’s mother were not even candidates for VBAC (vaginal birth after cesarean) in a hospital let alone at home. But Lisa Barrett was too busy trusting birth to pay attention to anything as mundane and restrictive as clinical guidelines and Tate Spencer-Koch and Jahli Jean Hobbs are dead as a result. There are actually very few predisposing factors to shoulder dystocia. There aren’t a lot of predisposing factors, but there are some and they should not be ignored. One of the most important is history of a previous shoulder dystocia. But Barrett ignored that risk factor just a year after Tate Spencer-Koch, attending the “accidental” homebirth of a woman whose first baby suffered a severe shoulder dystocia. Guess what? Another shoulder dystocia. What a coincidence. Prosecutor Naomi Kerera is conducting the inquest. Fortunately, in addition to investigating Lisa Barrett’s judgement and competence, she plans to go further. It will also look at the wider systemic issue of homebirth, the apparent disparity between public and private midwives (and) the need for closer regulation of homebirths overseen by private-sector midwives. Lisa Barrett is a poster child for greater regulation of homebirths, but in her case, regulation is not enough. Barrett should lose her license for gross negligence. It’s the least that can be done in memory of the babies who have died at Lisa Barrett’s hands.